Last night (1st. 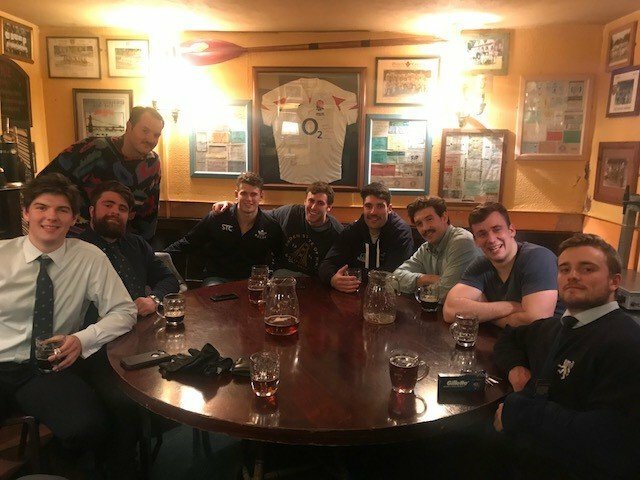 November) it was a great pleasure and good banter, to entertain Dom Waldouck, the University rugby captain, with some of his Oxford Blues rugby team, fresh from their close game against Rugby Canada the night before. Dark Blues in the ‘Cottage’, Nov 2018.